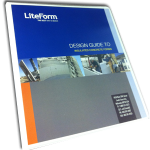 At LiteForm, our success is heavily relied upon by the success of the structures designed using our forms. Whether you’re working on a LEED project for future energy sustainability or designing a solution for a clients needs, our focus is helping you provide value to your clients. LiteForm has one of the longest track records of creating value for our customers applying a breadth of construction expertise across a wide range of projects around the globe. We demonstrate this expertise and commitment through our On-Site Education and LiteForm Training Courses. It is this approach that provides the foundation for our partnerships, helping us solve the world’s toughest construction challenges together. Need CAD or BIM Details? ?